On Sunday, March 19, join members of the community to volunteer on Super Sunday – the Greater Miami Jewish Federation’s largest annual phonathon – and Good Deeds Day. Help raise Annual Federation/UJA Campaign dollars to support Jewish needs in Miami, in Israel and around the world. Bring the whole family – kids, too – and participate in activities for all ages. Click here to volunteer. Can’t make it? Answer the call and make a donation to make a difference. Gather your friends and family and pack your bags for the trip of a lifetime in honor of Israel’s 70th birthday. 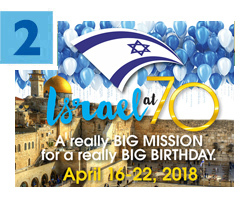 Chaired by Barbara Black Goldfarb, along with Vice Chairs Paul Kruss and Lily Serviansky, Federation’s Israel at 70 Mission, April 16-22, 2018, will include observances of Yom Ha’Zikaron (Memorial Day) and Yom Ha’Atzmaut (Independence Day). There’s also an optional pre-mission to Poland, chaired by Sidney Pertnoy. For more information, click here, email amandel@gmjf.org or call 786.866.8436. This year, the Women’s Amutot Initiative allocated nearly $300,000 from the Annual Federation/UJA Campaign to 28 organizations that empower women to improve Israeli society through social, economic, religious and political equality. Tahel – Crisis Center for Religious Women and Children received a grant to produce two movies (one for children and one for parents) to use in sexual abuse prevention awareness workshops. Tahel Director Debbie Gross recently led a discussion in Miami where she spoke about Tahel's work in Israel's Orthodox community. Join Federation’s Women’s Philanthropy and Jewish Community Relations Council on a Tallahassee Advocacy Mission March 21-22. 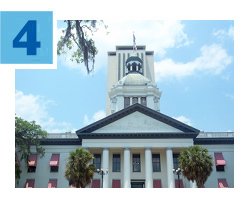 Chaired by Amy Berger Chafetz, the trip includes meetings with key policymakers, face-to-face advocacy and networking with members of Florida’s Miami-Dade legislative delegation, and more. For more information, contact Carol Brick-Turin, JCRC Director, at cbrick-turin@gmjf.org or 786.866.8485, or Ofi Osin-Cohen, Women’s Philanthropy Director, at oosin-cohen@gmjf.org or 786.866.8440. Mark your calendars for Thursday, February 23, when The Network Professionals Committee will welcome Arden Karson of CBRE for Leveraging Your Network at Berger Singerman, 1450 Brickell Avenue, in Miami. Join other young professionals to hear from Karson, CBRE’s Senior Managing Director for South Florida, on how to make the most of your business relationships. Click here for more information.